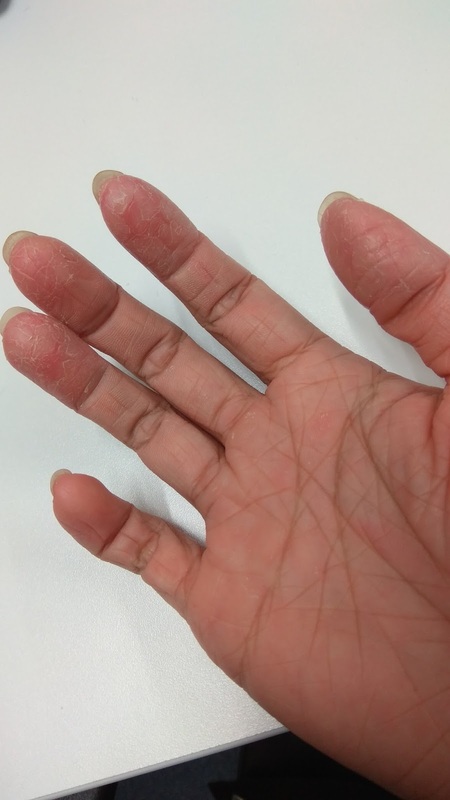 Coping with Ichthyosis: 24012018 Is this contact dermatitis? I had been using gloves for dish washing and laundry so I am not sure what caused this. but the doctor said usually these dermatitis or eczema cream all contain steroids. Perhaps I should try alternative, like traditional medicine? Write me your views and opinions if you've tried any! Honestly I am having problem even holding stuffs and typing right now. The skin on my fingers are peeling and cracking, became so sensitive. which is my dominant hand. since then it has been an on and off condition.